Oxo On seems to be hitting the ball right out the park with its latest coffee makers, and this particular one, with a price tag of $200, is no different. It proudly wields the coveted SCAA Gold Cup Coffee ﻿A﻿ward for brewing joe that makes you dizzy with deliciousness, and sports an incredibly attractive, modern design. The stand-out feature of this machine is just how simple it is to use. The on-dial interface allows you to effortlessly choose between 2-9 cups and has a wake-up timer that enables it to automatically start brewing even as you get that beauty sleep. Compact size of 6.7 x 14.2 x 15.2 inches. 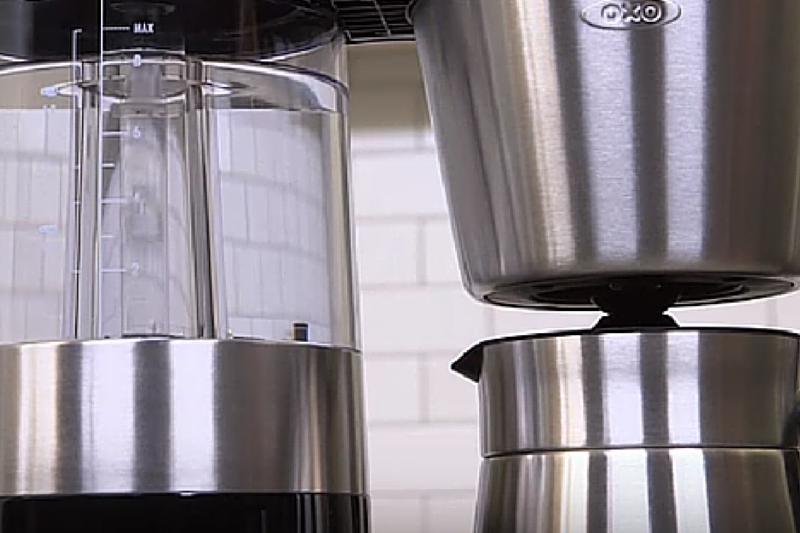 Have you noticed your Coffee Maker stop and start a few times during the brew cycle? There's a reason for that! 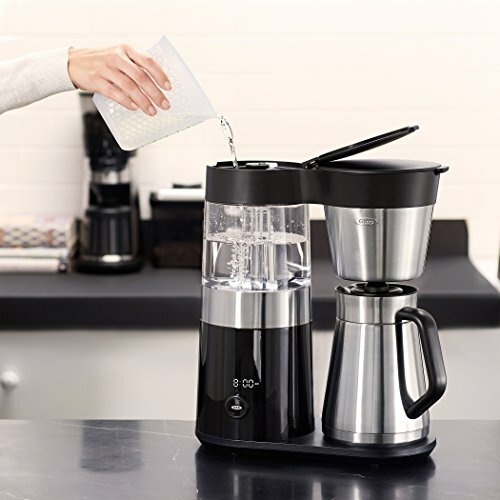 The Oxo Coffee Maker is designed to replicate the pour over method. 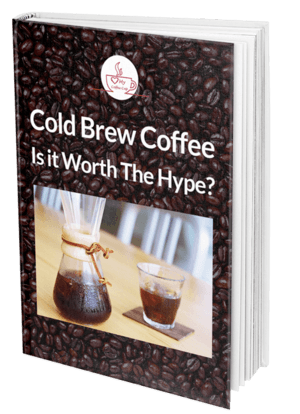 This manual method of brewing coffee is when a barista pours hot water over coffee in a circular motion and then pauses to let the coffee bloom and extract its flavor. Our Coffee Maker does the same thing for you - all you have to do is push the button. You'll know the brew cycle is complete when the water reservoir is empty and the coffee cup icon lights up on the LED display. Quite a bit of plastic in the construction. Carafe cools off rather quickly. The OXO On 9 Cup Coffee Maker can be purchased on Amazon for $199.95. ​If you want a drip machine that is remarkably easy to use, is easy on the eyes and brews a delectable cup of java, then this coffee maker is perfect for you. 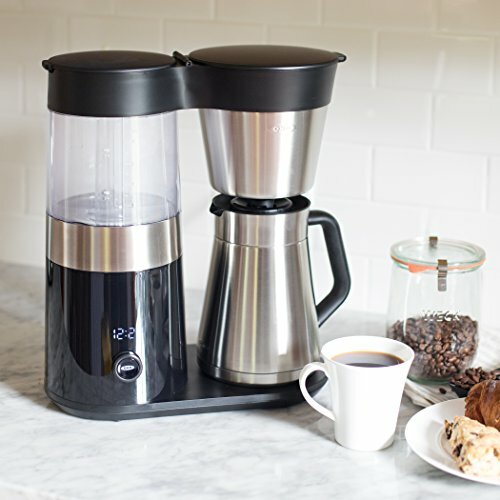 Yes, it might not have the versatility of its 12-cupped bigger sibling, but it still offers an amazing collection of features that will make your mornings that much brighter. The plastic water tank might be a bit of a turn-off for some, but OXO finds a way to make even that look elegant. Simply put, this coffee maker will rock your world!